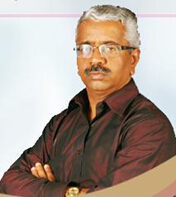 Dr.S.Arumuga Perumal has been working as Reader and Head of the Department of Computer Science and Research in South Travancore Hindu College for the last 24 years. He has completed his M.S. (Software Systems) in BITS, Pilani, M.Phil Computer Science degree in Alagappa University, Karaikudi and Ph.D (Computer Science) in Manonmaniam Sundaranar University, Tirunelveli. He is a senior member of Computer Society of India, Senior Member of IEEE, Fellow of IETE and Fellow of IE(I). He has involved in various academic and research activities. He has attended and served as a reviewer in so many national and international seminars, conferences and presented numerous research papers and also published research articles in national and international journals. He is a member of curriculum development committees of various universities and autonomous colleges of Tamilnadu and his area of research specialization is Digital Image compression. He has been awarded Best college Teacher award for the year 2009 by Tamilnadu State Council for Higher Education and IETE National award for his research Contribution from IETE, New Delhi.